Khandu, however, remained optimistic that with the assistance from the Central government on rail, road and air connectivity. 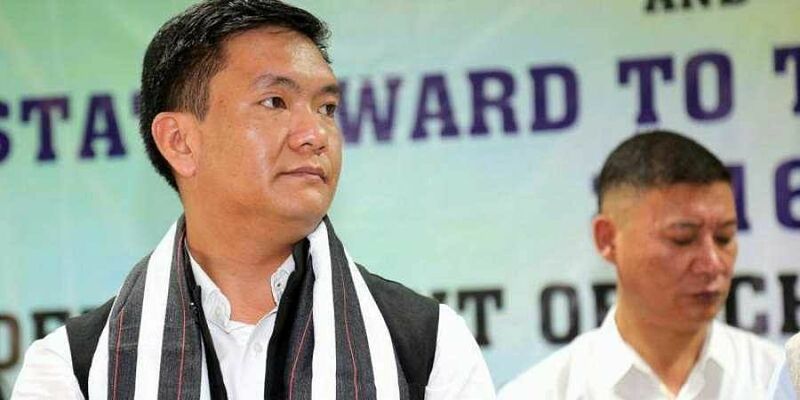 ITANAGAR: Arunachal Pradesh Chief Minister Pema Khandu on Friday said the biggest challenge for Arunachal is connectivity. "The state has great potential in the fields of tourism, hydropower and agriculture-horticulture sectors, but they are not exploited fully due to lack of good connectivity," he said. He was addressing a session on "Inclusive and sustainable development of North East region by 2022", part of "India@75 - Co-creating India of 2022" initiative, organised by the Confederation of Indian Industry (CII) in Assam's capital city of Guwahati. Khandu, however, remained optimistic that with the assistance from the Central government on rail, road and air connectivity, this bottleneck would be overcome in the coming days. On hydropower projects in Arunachal, Chief Minister said one of the major hindrances in its growth is the long duration for the hydro projects to obtain clearances that extends beyond 10 years. He said the issue must be discussed to remove such hindrances. Khandu also spoke of the people's sentiments attached with their land. He said locals must be taken into confidence before going ahead with hydro projects, and the concerns of downstream people must also be taken into consideration. Assam CM Sarbananda Sonowal, Meghalaya CM Conrad Sangma and Deputy Chief Minister of Tripura Jishnu Dev Varma also attended the session.